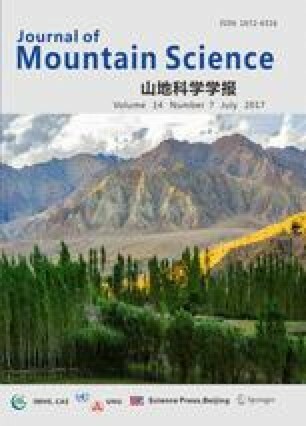 Wetland plant communities in the plateau lakes of Yunnan Province, China, have decreased significantly over the past decades. To better understand this degradation, we analyzed the processes and characteristics of changes in wetland plant communities in two of the largest lakes in Yunnan Province, Dianchi and Erhai lakes. We collected records of native and alien plant communities in the two lakes from literature published from the 1950s to current period. We calculated plant community types and their area in some historical periods when related data were reported, and analyzed the relationship between changes in plant communities and water pollution. In Dianchi Lake, 12 community types of native plant communities, covering over 80% of the surface in the 1950s and 1960s, were reduced to four types covering 2.4% by the late 2000s. Alien plant communities started to appear in the lake in the late 1970s, and have since come to cover 4.9% of the lake surface, thereby becoming dominant. In Erhai Lake, 16 community types of native plant communities, covering 47.1% of the lake surface in the late 1970s, declined to 10 community types, covering 9.3% of the surface, by the late 2000s. Alien plant communities appeared in the middle 1980s, and at present cover 0.7% of the surface area. It was indicated that changes in plant communities were significant related to water eutrophication. The area occupied by native and alien plant communities was, respectively, negatively and positively related to the content of nutrients in water. This showed lacustrine pollution played an important role in native plant loss and alien plant invasion in the two plateau lakes. Supplementary material is available for this article at 10.1007/s11629-016-4037-9 and is accessible for authorized users. An erratum to this article is available online at https://doi.org/10.1007/s11629-018-4843-3. This study was funded by the National Natural Science Foundation of China (Grant No.31560092, U0933601), National Scientific and Technological Basic Work of China (No.2012FY110300), Science Fund of China’s Yunnan Government (Grant No. 2015BB018, 2009CC024), and the State Key Laboratory of Phytochemistry and Plant Resources in West China (Grant No. P2015-KF11). Dr. Tobias Marczewski contributed to the first revision of the original manuscript and Prof. LI Mao-biao helped with the final revisions and proof-reading of the paper. Supplementary material, approximately 421 KB.